Bringing love to the streets of London. We challenged style seekers across London to Find their Perfect Match and Win. 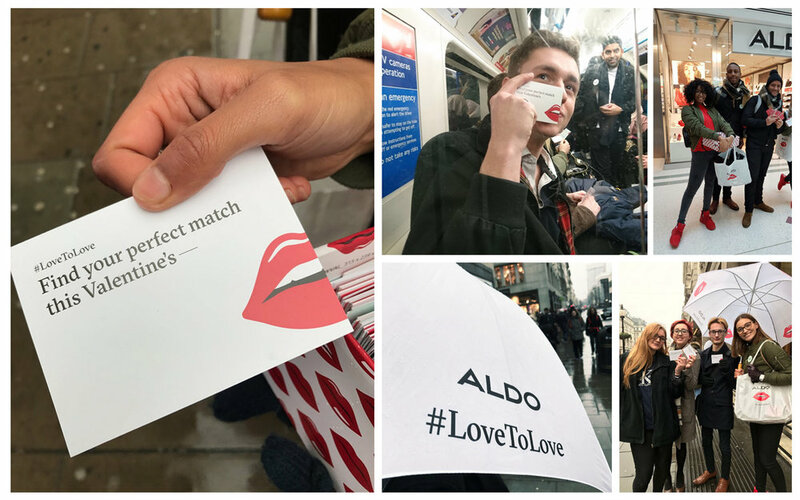 Supporting the launch of Aldo Shoes' Valentine's and Spring Collection the campaign utilised experiential activity on the streets and tube to drive customers in-store plus a digital campaign with the reward of a V.I.P. night at the flagship Oxford Street store.